Right away you could tell that the assistant had performed many, many of these tests and basically memorized a script. “Now stand up, pick up your chair and place it over here by this machine.” It all seemed very mechanical with no personality at all. Which is too bad. It could have easily been a time to inject some humanity into a sterile exam – at no extra cost to the company. Think of the routine interactions you may have with customers. Have they become trite? Without feeling? 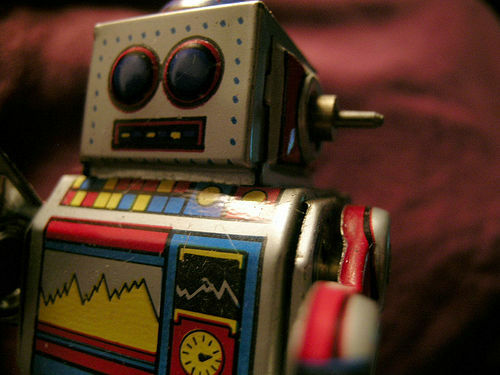 Could a robot do what you do just as well or better than you? If so, it’s time to put the “person” back into personality. What robot interactions have you had as of late? What can we do to make them more meaningful?